"Google game is weak on this bunch." This is how one commenter on Reddit perfectly described the main proponents of a viral story on Duterte fanaticism—one of the many instances where supporters of the current administration seemed to have favored loyalty over logic. 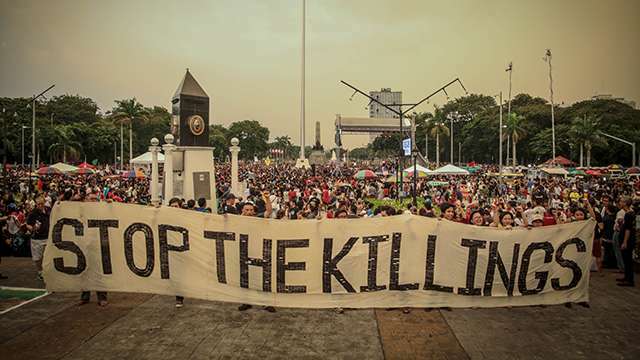 More than a handful of Digong diehards fell for a prank played by Facebook user Janjan Gonzales, who posted in an online group about being credulous to the president. Ironically, another word for credulous is "gullible," a fitting description for the members of the page who were victims of the social prank/experiment. 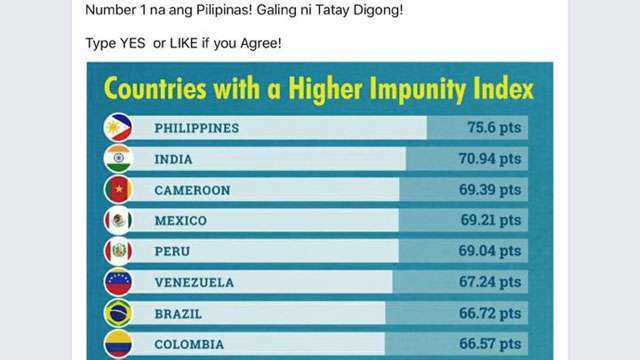 Gonzales did the same thing to a different group, this time using an infographic that shows the country ranking first in impunity, which Merriam-Webster defines as "exemption or freedom from punishment, harm, or loss." Sadly, the results were no better than the first one. Aside from netizens collectively shaking their heads, some noted that the troll may be subjected to doxing, to which one Redditor replied, "I don't think he is, seems like he even picked the alias 'Janjan' on purpose to blend right in. wp (Well played)."